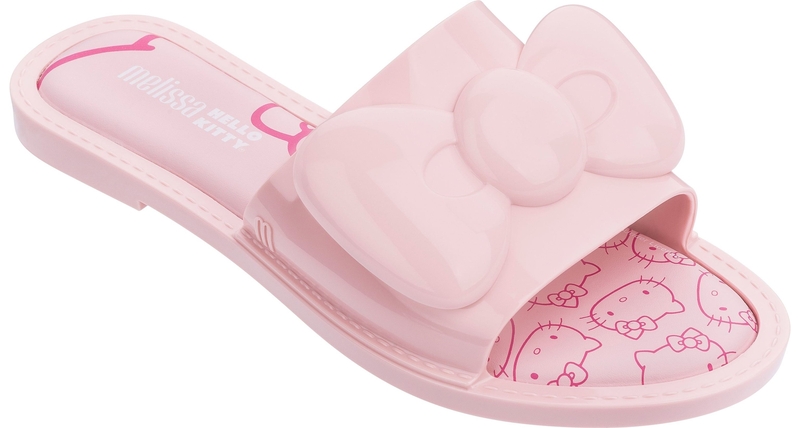 Perfect for the start of summer, Melissa Slipper + Hello Kitty is light and cool. With a frontal Hello Kitty placement or with the unmistakable character ´s bow, the slide features a comfortable foam insole, customized with a print celebrating the collab. The available colors match the cute theme of the collection.